I don’t typically use filters for the type of astrophotography you see on Lonely Speck. 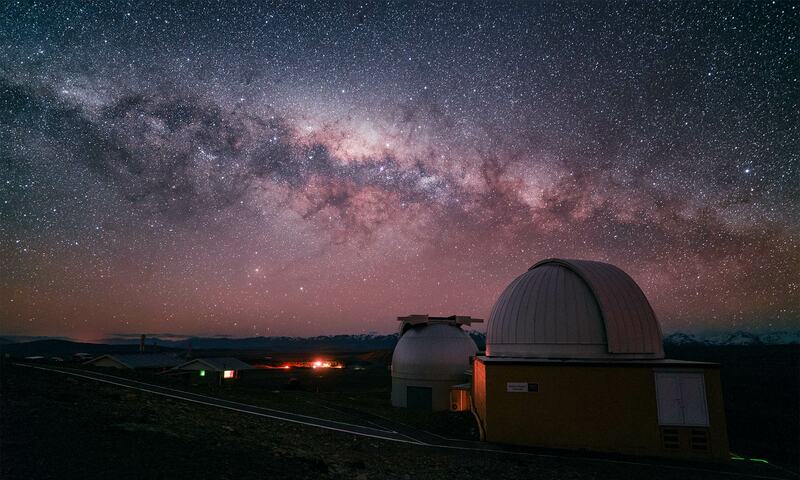 Filtering for specific wavelengths of light is a common practice for astronomy and deep sky imaging. 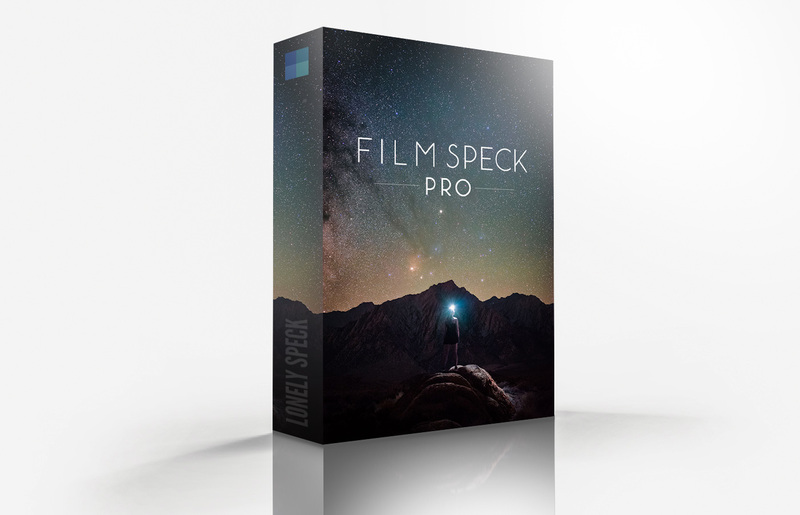 But most filters made specifically for astrophotography tend to be very specialized and very expensive. 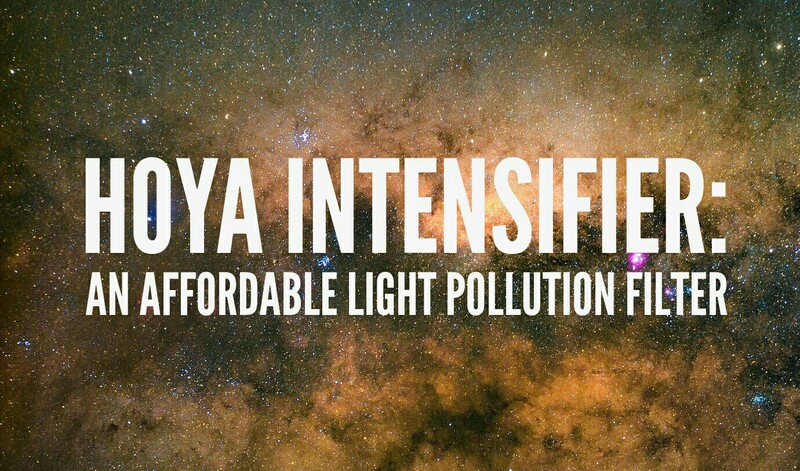 Luckily, there’s an option for those on a tight budget: the Hoya (Red) Intensifier Filter. 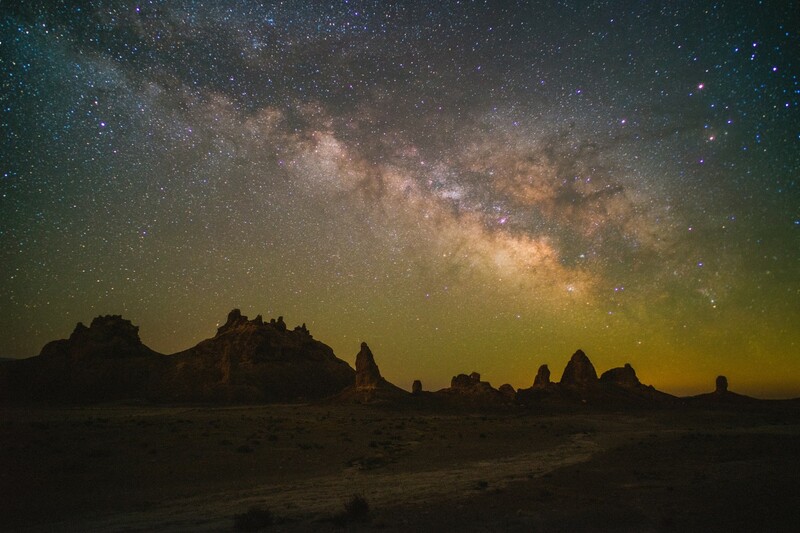 In this short review, we test out the Hoya Intensifier while shooting the Milky Way from Trona Pinnacles, California. Before trying the Hoya Intensifier, I had never used a filter for astrophotography. Other than the SharpStar2 for achieving precise focus on the stars, I didn’t know of an immediate reason to use a filter while shooting basic night photography. Many dedicated astronomy filters are made to filter out everything but a very narrow band of light, specifically for targeting certain parts of the spectrum, like infrared or Hydrogen Alpha. These narrow band filters are usually best reserved for shooting on a full-spectrum camera or dedicated astronomy sensor. Other more common photographic filters like a UV filter, polarizer or neutral density filters don’t really provide any tangible benefits for astrophotography. The Hoya Red Intensifier (also just called the plain “Intensifier”) is a special application filter that’s intended to enhance red and orange colors, particularly for autumn foliage. The Hoya Red Intensfier is also known as a Didymium filter. It filters out the yellow-orange portion of the spectrum from about 575nm to 600nm. 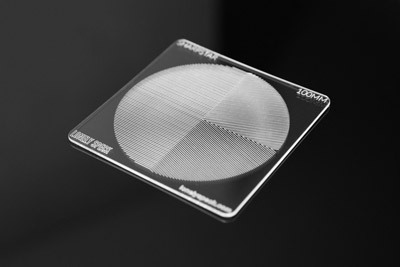 The original application for a Didymium filter is to protect the vision of glassworkers from the bright yellow-orange color of the hot sodium in the glass. As I originally learned from Nick at Noctilove, this type of glass should make a good light pollution filter. The Hoya Intensifier filters out yellow-orange light from about 575nm to 600nm (via hoyafilter.com). The part of the spectrum that the Didymium filter removes is also the exact color of most sodium vapor lamps, one of the most common sources of light pollution. Many city and suburban street lamps and industrial lighting use these yellow-orange lights. They’re slowly being replaced with LEDs in major cities, but sodium lamps are still one of the most common types of outdoor lighting. Being able to filter out most of this type of light should provides a distinct benefit for astrophotography. At first glance, the Hoya Red Intensifier filter looks like a pretty plain filter. It’s a relatively clear looking filter but with a very subtle colored tint. It can appear pink, cyan or bluish, depending on the light it’s viewed under. As far as I can tell, it appears that this filter does not have any anti-reflective coating as reflections off the surface of the filter glass appear to have no colored tint. 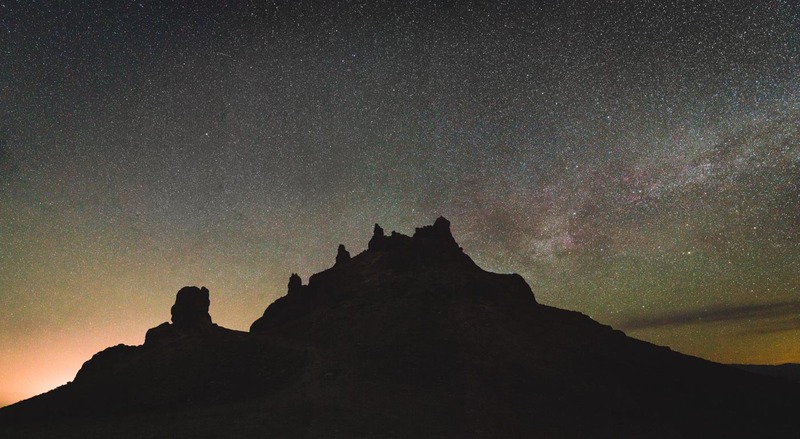 A lack of coatings shouldn’t really affect most astrophotography but photographers should be aware when using it in other situations; it may cause unwanted reflections, particularly when shooting with very bright light sources in the frame. Other than that, there’s nothing else to say about the appearance of the filter. It’s a pretty standard looking thing and comes in most common filter thread sizes from 49mm to 77mm. 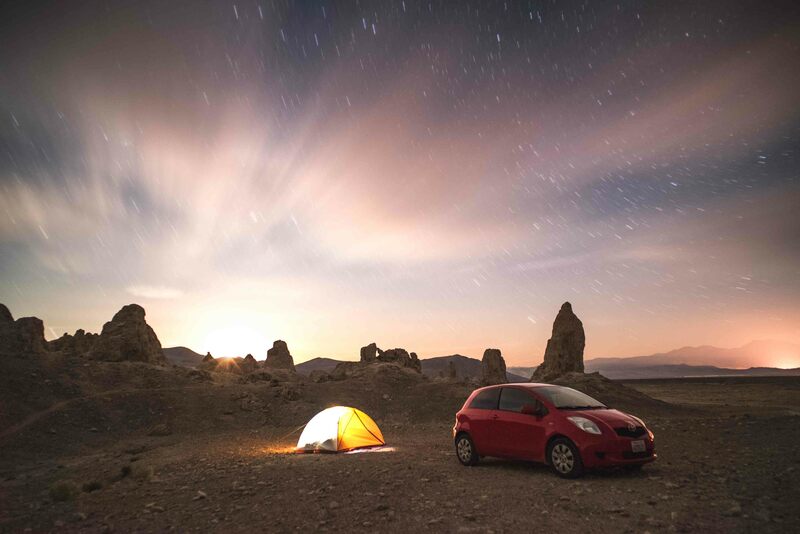 To test the Hoya Intensifier, I traveled with my girlfriend to Trona Pinnacles, California. It’s one of my favorite spots for astrophotography and is the site of our upcoming Lonely Speck Meetup 2016. Trona Pinnacles is a relatively dark sky location but there are still a few distict light pollution sources in the area: Ridgecrest to the west, Trona to the north, and Barstow to the South. Each of these towns create a mild orange glow visible in astrophotos. Our test was made on a Sony a7S and two different lenses: the Voigtlander 21mm f/1.8 Ultron and the Sony Zeiss FE 55mm f/1.8 Sonnar T*. Each lens was fitted with a Hoya Red Intensifier for its respective filter size (58mm for the Voigtlander and 49mm for the Sony Zeiss). Drag the center slider to see the result without (before) and with (after) the Hoya Red Intensifier filter. This first test shot was made on the Voigtlander 21mm f/1.8 Ultron wide angle lens. The partially illuminated moon was still visible so the sky was naturally blue. 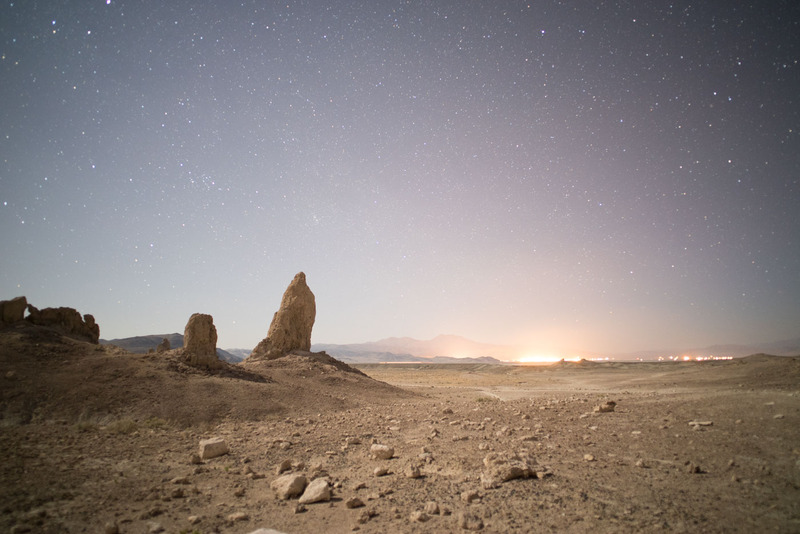 As you can see, the filter noticably reduces the yellow glow created by the sodium vapor lamps of the mineral mining plant in Trona, California. The sky is darker and deeper blue and less hazy with the filter installed. 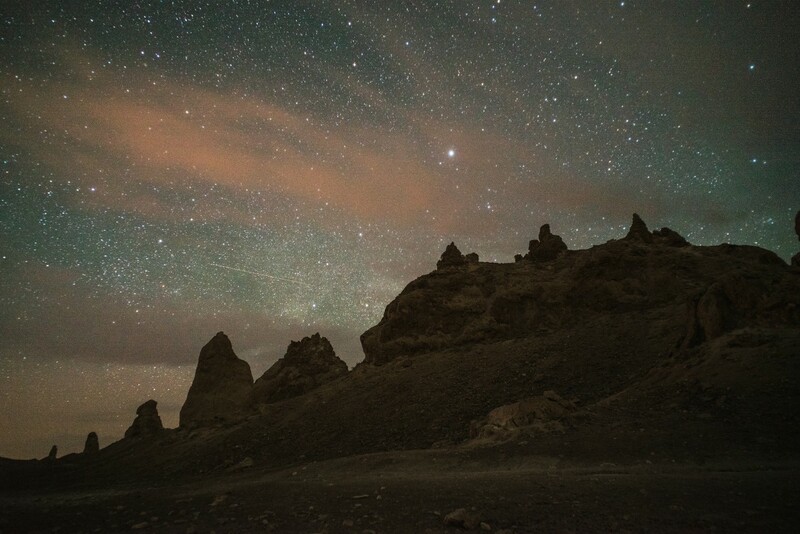 Overall contrast is increased and you can see that the scene is slightly darker, likely since a portion of the ambient light spilling on the landscape is from the light pollution of Trona. So far so good. The results were immediately noticeable, the filter seems to be doing its job of filtering out some light pollution. 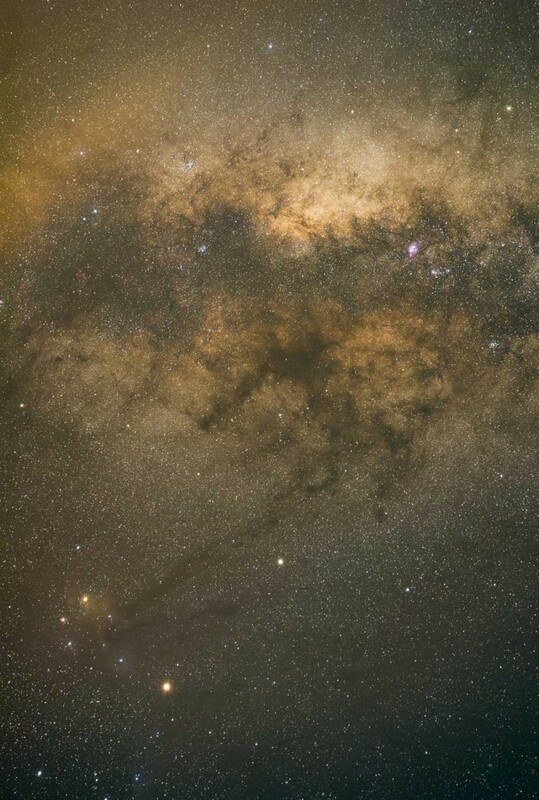 Let’s take a look at another test image, this time of the Milky Way Galactic center, made after I had waited for the moon to set below the horizon. This second test shot above was made with the Sony Zeiss FE 55mm f/1.8 Sonnar T*. Each image was made with the camera set to daylight white balance and by stacking 30 exposures to reduce noise. Images are normalized for brightness but post processing is otherwise identical between test images. If you’d like to see these as straight-out-of-camera RAW files, check out the download link to a zip of 3 before and after pairs of shots shot using the Hoya Red Intensifier. The files included in the .zip below are unedited and exported directly to DNG. Want to see some RAW before/after files? 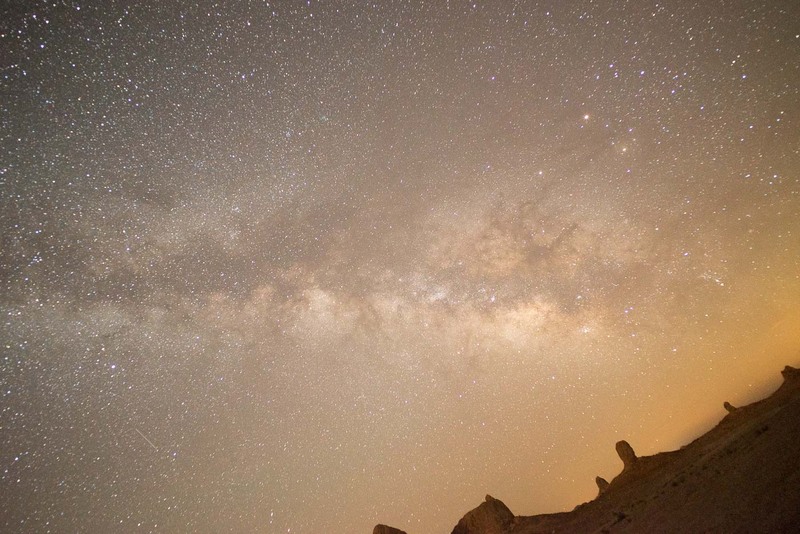 The advantages of the filter become a lot more apparent when shooting the galactic center. The Hoya Red Intensifier seems to have almost completely neutralized the yellow/amber hues caused by the distant town of Barstow. 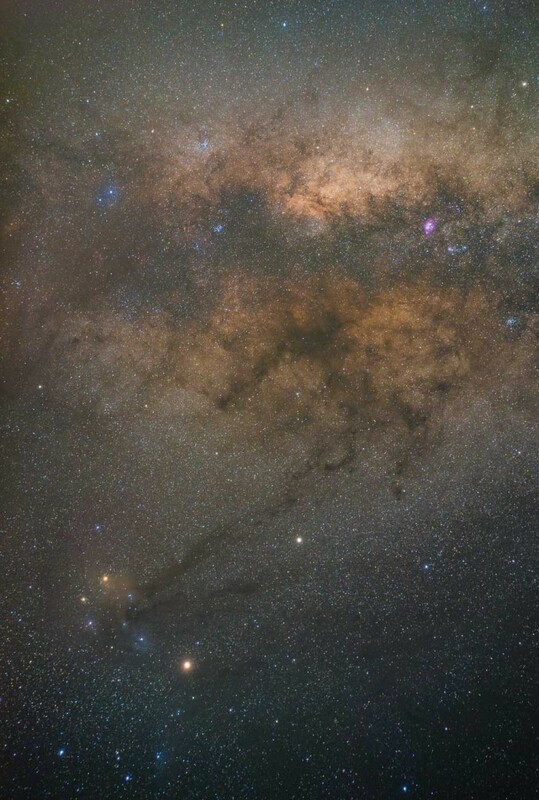 The image with the filter installed shows more variety in color, especially when it comes to the blue, red and orange nebula of Rho Ophiuchi around the star Antares. The photo without the filter still looks acceptable but editing the shot to include a good balance of color would be a lot more difficult to achieve due to the orange tint. Overall, the filter really seems to have made a positive difference in the results and I’m super happy with how pronounced the faint colors are when they aren’t drowned out by light pollution. What about in heavily light-polluted areas? 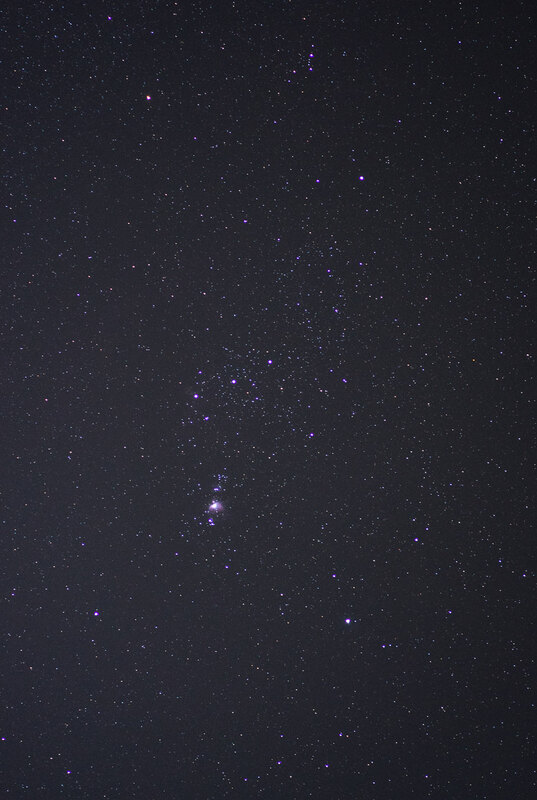 I shot the following sample of the constellation Orion in Simi Valley California, near Los Angeles. It’s a pretty heavily light polluted area and the photos from the location initially had a lot of amber tint to them. 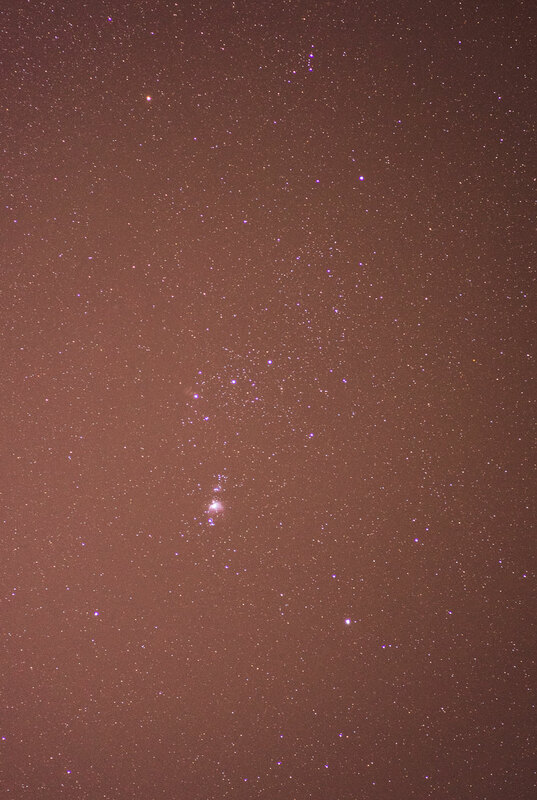 The light pollution filter seems to have completely neutralized the amber tint. I still think that the light from Los Angeles was too intense to really start to get some of the faintest nebula detail from the constellation Orion, but it’s neat to see how the filter removes the amber glow. The results of using the Hoya Red Intensifier on the night sky is subtle but tangible. I very much prefer the results with the filter installed. I never thought I’d find myself thinking a filter as being essential for astrophotography but I think I’m going to keep using one on all my lenses. It’s cheap, it reduces light pollution, it works. Highly Recommended! We saw some of the shortcomings of the Hoya Intensifier and the requests by many photographers for a square version of the filter so we decided to make our own light pollution filter called the PureNight. 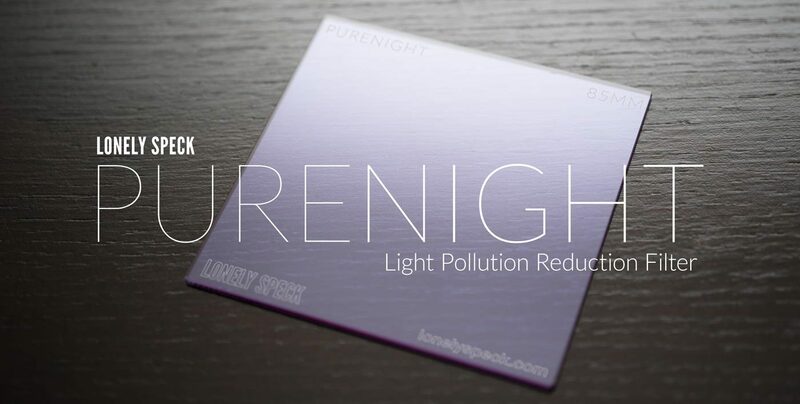 PureNight is stronger in filtration than an intensifier, multi-coated for better anti-reflective properties and is now available in square 85mm, 100mm and 150mm sizes. Make sure you buy one labeled just plain “Intensifier” or “Red Intensifier”. The Blue and Green ones are not the same. Hi, how did you find Voigtlander 21mm f/1.8 Ultron results? I have read that it has come issues. It is not the best wide open. It needs to be stopped down to f/4 to be decent. Not a lens that I would recommend primarily for astro. 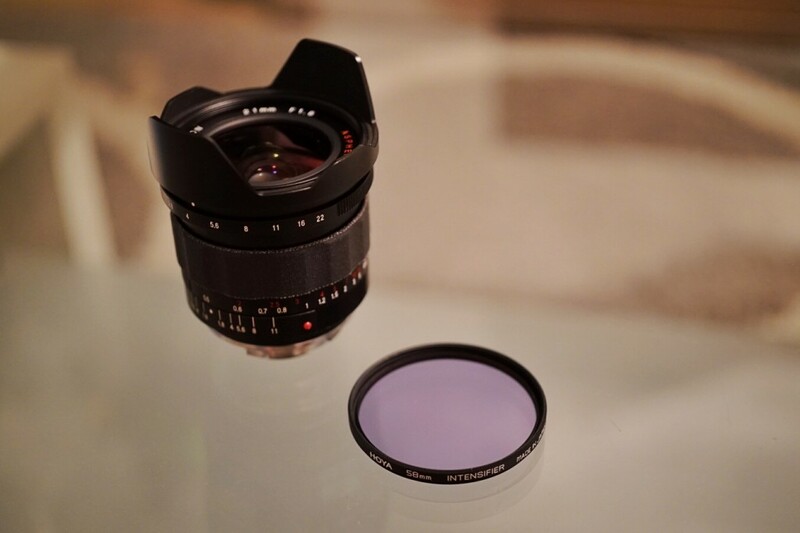 How would compare another Voigtlander 21mm f/3.5 Color-Skopar which was recently launched for Sony E-Mount Full-frame cameras? I read your review that Voigtlander 15mm Heliar f/4.5 is very good but this is f/3.5 (faster) so should be better than Heliar and is cheaper than Heliar/new?